Public toilets and the bathrooms in restaurants have never been so popular in Nakuru, Kenya's fourth largest town as they are today. At lunchtime most cubicles are jam packed and on occasions people have to queue to access them, but most though are there for the wrong reason - smoking. Since the council authorities passed a by-law banning smoking in public places, the toilets have become an "acceptable" safe haven for cigarette consumers. Lighting up a cigarette on the streets of the town - famous for its generous population of flamingos on the nearby lake - can land you in jail or lead to a fine of up to $140. "The threat is real, several people have been arrested here at the bus terminus this week for just lighting up a cigarette and I have to take precautions," said Mike Gaithuma, one of the residents now using public toilets as a smoking venue. Mr Gaithuma is however unhappy that the new by-law was passed without wide consultations and now wants its implementation put on hold. "We may be a few smokers but it is only fair that the council designates areas where we can smoke freely before introducing such a law," Mr Gaithuma said. Last year, the High Court suspended a controversial ban on smoking in public places across Kenya by the Ministry of Health. Health Minister Charity Ngilu who issued the directive said it was aimed at reducing the number of tobacco-related deaths. Anyone found smoking in offices, bus stations, airports and sports venues would be fined $700 (£375) or face six months in jail, according to the suspended law. Nakuru Municipal Council however argues that it is within their right to implement a by-law that bans smoking in public. "We received lot of complaints from people about smoking at social places and they called on us to put in place regulation that will address their concerns," Simon Kiarie, the Director of Environment at the council told the BBC News website. Mr Kiarie said the by-law which came to effect in April this year, will target offenders at markets, bus stations, cinema halls and within public offices. "We hope that people will co-operate with the council so that we avoid unnecessary conflict," Mr Kiarie said. Plans are under way to involve stakeholders who include cigarette manufacturers and hotel industry players who will be required to provide secluded places. But residents in Nakuru are divided on plans to provide the special areas within the town. "I think our taxes should not be wasted to erect these areas, most smokers do not respect the rights of other people, and they should just smoke in their homes" Alice Karimi an expectant mother said. But Cyrus Maina, tout at the main bus station says that it only fair that the smokers were also allowed to exercise their freedom but in an orderly manner. "I used to smoke but stopped after I developed health problems. 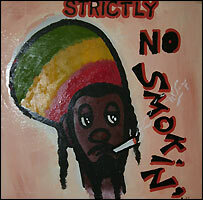 However it is an individual's choice to smoke, it is only fair that special areas are provided for them" Mr Maina said. Hawkers within the central business district report that cigarette sales have reduced since the by-law came to effect. "I used to sell at least 10 packets of cigarettes in a day but in the past two weeks I hardly sell three packets. Something should be done otherwise we will suffer due to loss of income," said George Juma, who runs a kiosk on Nakuru's Kenyatta Avenue. 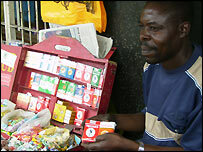 Mr Juma says many people are afraid of buying cigarettes since they are convinced that it is now illegal. 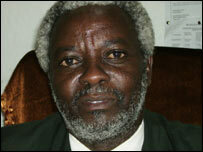 But the by-law is not aimed at totally banning smoking, according to Mr Kiarie, the council's director of environment. British American Tobacco Company (BAT), the largest cigarette manufacturer in Kenya, says it is watching the developments in Nakuru. BAT's communications manager Maureen Sande said since Kenya is in the process of reviewing tobacco regulations, the company does not wish to react to the move taken by Nakuru Municipal council.